Data Modul is a global specialist in visual solutions manufacturing innovative electronic systems embedded in PCs and flat panel displays. The company has its production sites in Germany, Poland, China, the USA, while its numerous sales partners are based in Europe, Asia, the USA and Middle East. 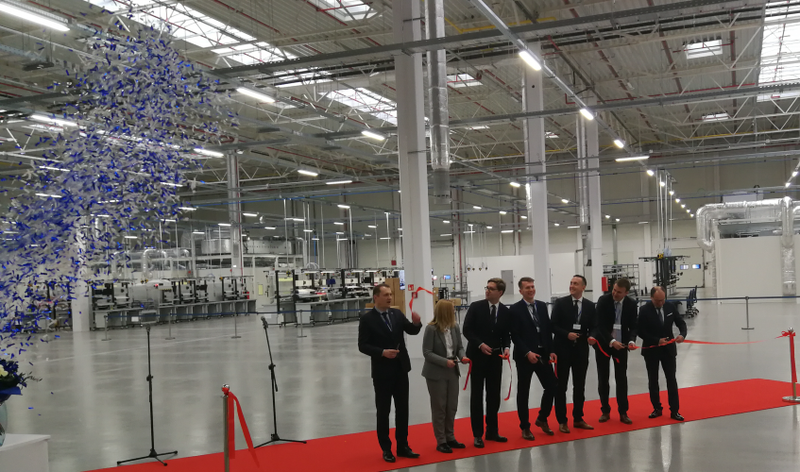 A modern production facility for LCD displays and a logistics centre of 16,000 sq m opened in one of Panattoni Park Lublin’s hall at Józefa Franczaka “Lalka” St. Ultimately, the company expects to appoint 250 employees. Lublin enjoys an increasing interest of investors representing the automotive industry. In the Lublin Subzone alone, 70 businesses invested so far, and 57 of them have already launched their business operations. Companies which set up their production sites there created almost 4,400 new jobs. Intellectual capital is Lublin’s key potential successfully attracting investors who offer technologically advanced solutions. - Lublin consistently implements the Lublin Development Strategy and actively stimulates the growth of city’s priority sectors. The investment of Data Modul AG with its products and solutions having a wide range of applications in robotics, automation, construction, medicine and transportation, perfectly fits into a continuously fostered industrial ecosystem of the city. Data Modul’s presence in Lublin is another good news for the city and at the same time a proof for Lublin’s investment attractiveness for innovative industrial businesses – says Krzysztof Żuk, the Mayor of Lublin. The new production site of Data Modul in Lublin is the company’s first location in Poland and at the same time headquarters of Data Modul Polska Sp. z o.o. which is a 100% subsidiary of Data Modul AG.